Employers have to make sure that they are hiring the right people for the job. They have to learn as much they can from the multiple resume formats that applicants send them whenever there is a job position that is open to the public. However, one of the biggest problems that employers face is knowing whether an applicant’s resume consists of the truth and only the truth. There are times when applicants decide to include a couple of exaggerated details in their resumes just so they can acquire the job. 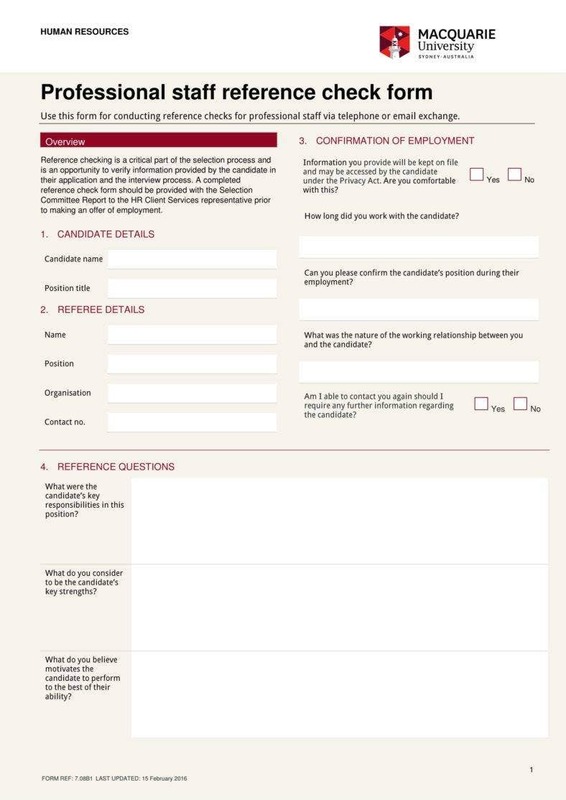 This is why employers need to conduct reference checks to guarantee that they have the right person for the job by contacting people like the applicant’s previous employers. Be sure that you are taking the reference checking process seriously. There are times when those in charge just bring someone into the company based on the feedback from something as simple as phone call conversation or even something like an email with a few sentences. This usually ends up badly for the company when that employee turns out to be a bad fit, which could have been avoided if a proper reference check was done. The cost of hiring a poor employee can be really high as these people may feel like the job is not for them, which will be to the company’s detriment. Conduct at least two verbal reference checks. There are a lot of candidates out there who can easily make a resume and make themselves look good to prospective employers, but then they might do very poorly when it comes to the interview. Then there are those candidates who do really well during the interview, but then they do not do well on the job once they have been hired. A curriculum vitae (CV) can be embellished, and it is really easy for anyone to be a great interviewee with a lot of coaching and practice. There is always a way for you to ensure that the person you initially discovered on paper and the person you then thought performed strongly at the interview is the person that he or she claims to be. Before you start hiring someone and bringing that person into your company and team, you should conduct at least two verbal reference checks. It is one of the best ways for you to understand how this person performs on the job. Plan out all of your questions carefully. When coming up with them, you need to think about the skills required for the position as well as the core competencies and key success measurements that you created for the job. 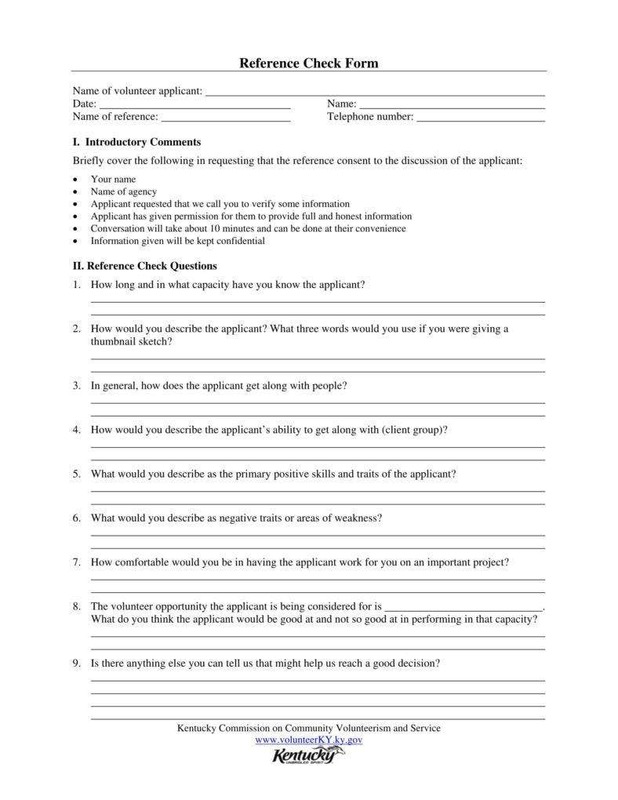 During your interview, you will be asking the candidate questions about communication, decision, and time management. 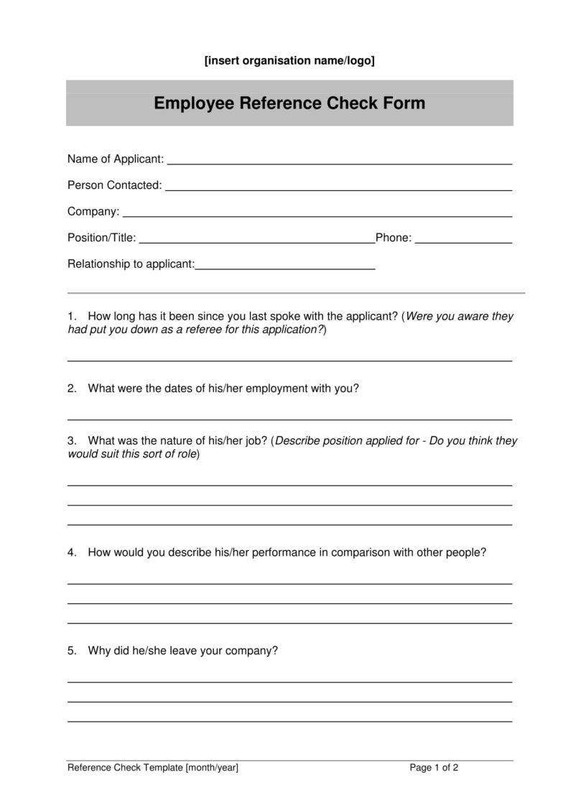 After you are done doing that, you should then contact the candidate’s previous employer and ask the same questions. The questions you are going to ask the candidate’s previous supervisor should be about the candidate’s performance and behavior. 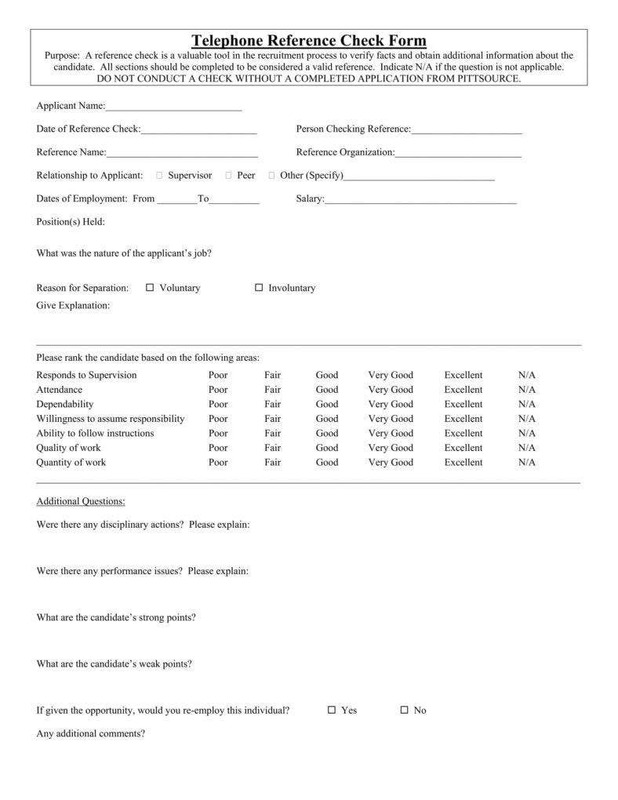 You may also see Check Request Forms. You are allowed to ask at least one hypothetical question. The one question that you should consider asking candidates at the very end of the conversation with the candidate’s previous employer would be “Would you ever re-hire [candidate’s name] for your company?” This should be the only hypothetical question that you should ask during the entire discussion. The responses that you can gain from this kind of question can give you enough information on the candidate that will help you make the decision on whether or not he or she should be hired. You may also see Free HR Forms. Beware of anyone that makes use of fake employers. You will not believe the number of candidates that would try to put in a fake employer to help make sure that they get the job. If someone is desperate enough for a job, then that person is willing to do anything. You have to make sure you are talking to the candidate’s actual previous employer. If a candidate gives details regarding his or her previous employer, then you can check them out with online checkers such as LinkedIn, and then you should contact that person through a landline number. Just make sure that you actually get to talk to this person to see if he or she is an impostor. 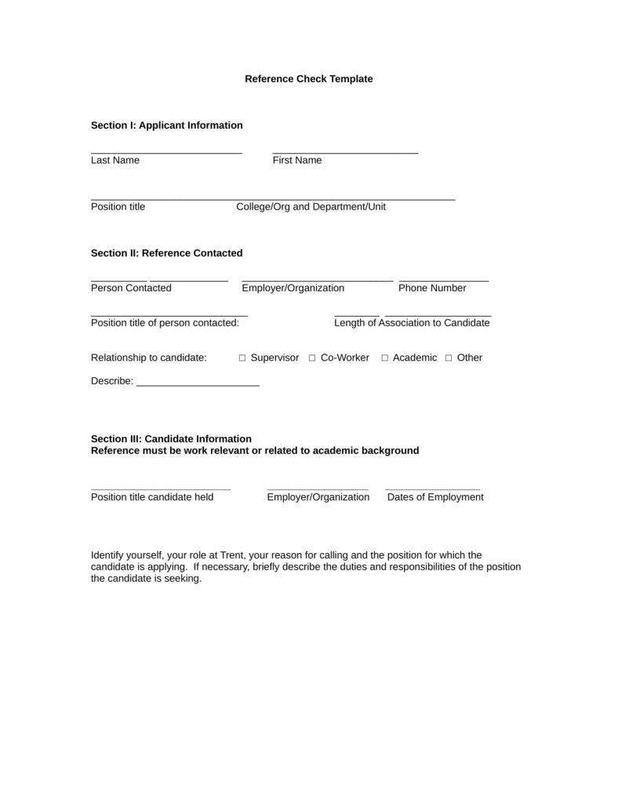 You may also see New Hire Processing Forms. Do not put words in the person’s mouth. Do not try to steer the conversation to a predetermined conclusion on your part. 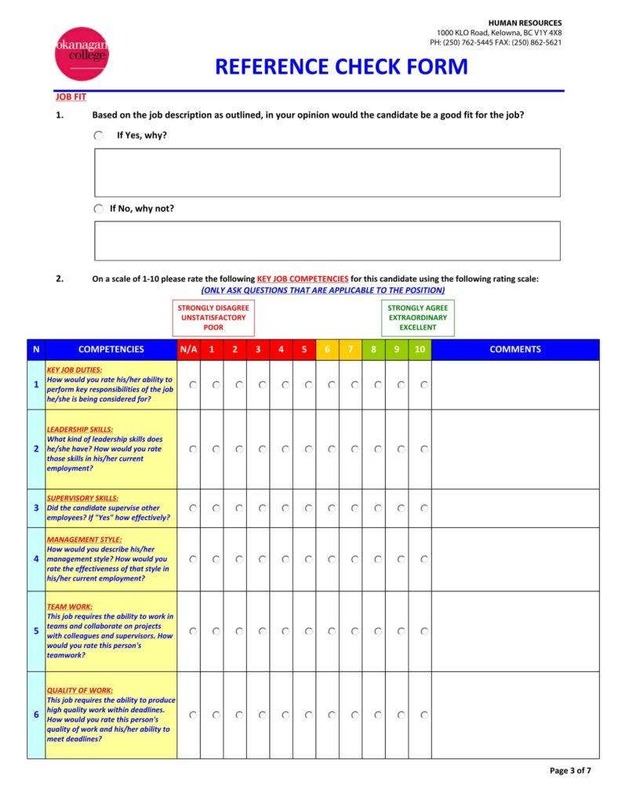 Reference checks help potential employers confirm that the candidates in consideration for hiring are honest in their job application as well as during their interview. Some of these questions are asked when checking references are asked, centering around job title, salary, employment dates, etc. 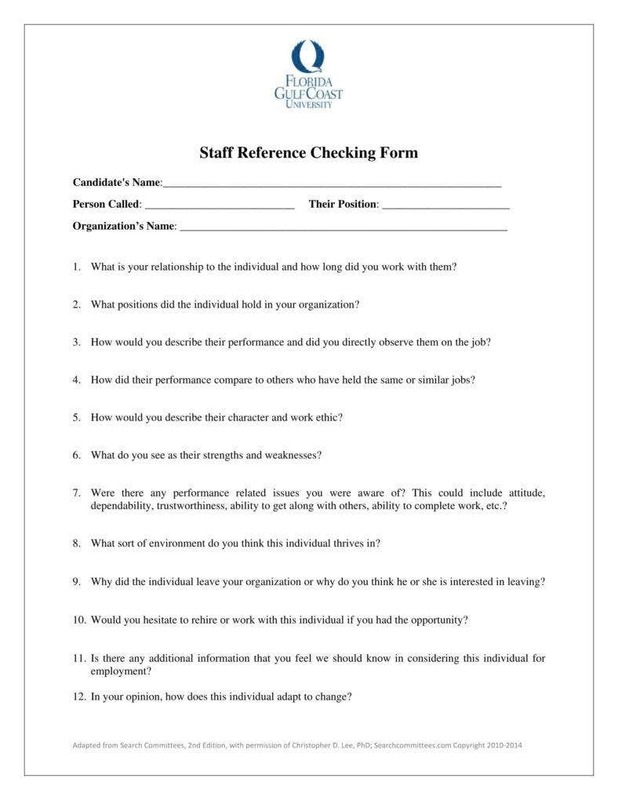 Reference checks are also a great opportunity for the employer to get a sense of a candidate’s performance on the job and his or her personal qualities. When did (name of candidate) work for your company? 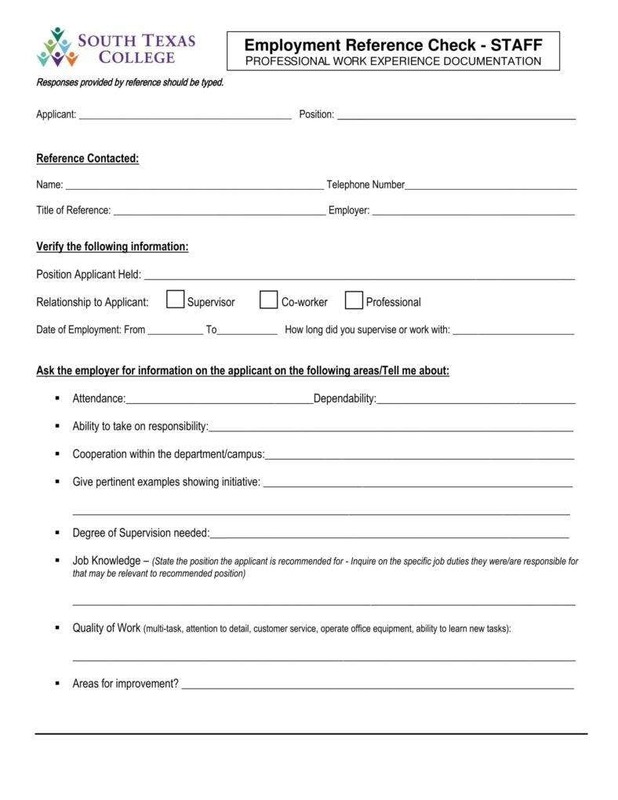 Can you give me a confirmation on both the start and end dates of sample employment? And when did he or she leave the company and for what reason? What was his or her starting and ending salary? What was (name of candidate)’s previous position in your company? Can you describe the position’s responsibilities and duties? Could I possibly due to a brief review of (name of candidate)’s resume? Did (name of candidate) miss a lot of work while he or she was with you? Was he or she frequently late? Were there any issues that could have affected his or her job performance? Did he or she manage to get along well with others during his or her time in the company? Did he or she prefer to work individually or as a team? Did he or she show any support for his or her coworkers and, if so, how was he or she able to do it? Did (name of candidate) supervise other employees? If so, how effective was he or she as a leader? If I were to speak to any of these employees, how do you think they would describe the management style of (name of candidate)? What was his or her biggest achievement while working for your company? If ever the opportunity came, would you ever consider hiring back (name of candidate)? If I described the position that we are considering (name of candidate) for, would you able to tell me whether he or she is a good fit for it? 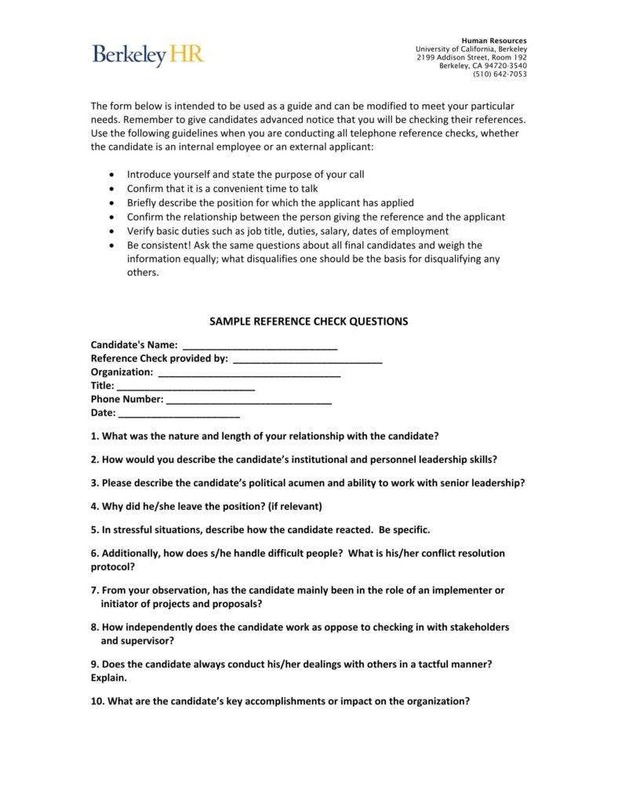 Is there any question that I have not asked that you feel may be vital when it comes to employing (name of candidate)? 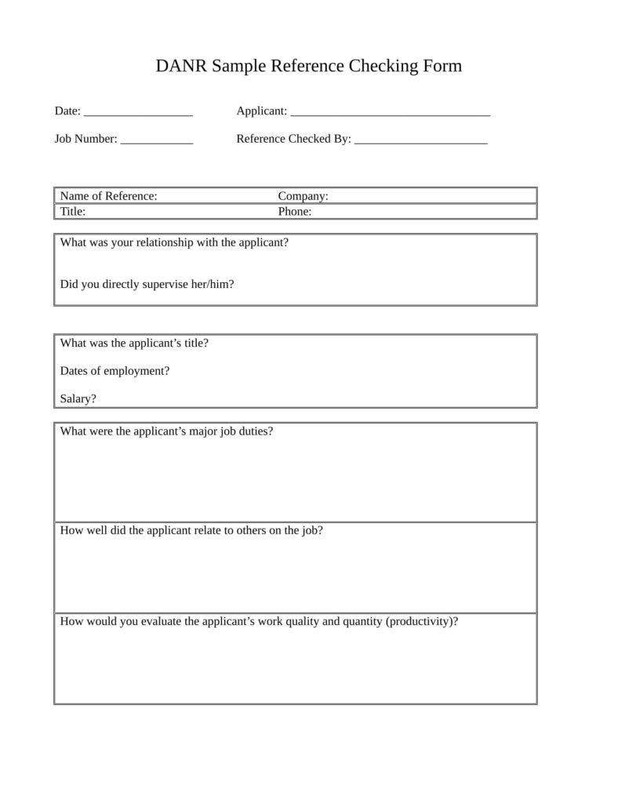 When and how does an employer check your references? 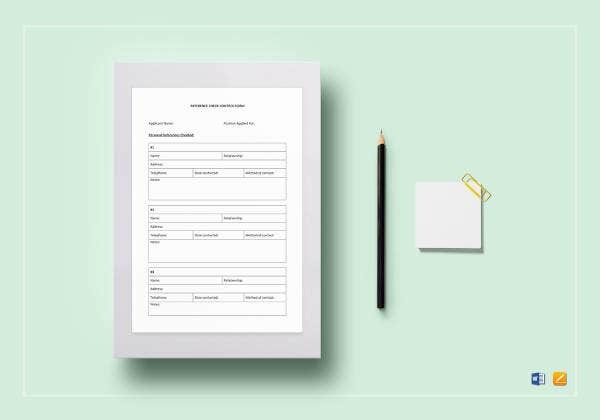 At one point, all you had to do was to simply hand over your job references to your employer after the first interview or you could have just simply sent it right alongside your resume. But these days, most employers ask for your references only when they know they are ready for them and not before that. And while it may be a hint that the employer is considering giving you a job offer, that is not often the case. In today’s job market, references are a very important part of both the job application and hiring process. And this means that you have to come up with a list of people that you think who can speak about what you have regarding your most recent job performance. They will go through the names of each person on your list. This is why you need to have a simple reference list ready. A number of three references is usually enough, but there are times when employers would ask for more. You have to make sure that the list does not just contain co-workers as employers may get suspicious. You also should not have only friends or parents as your references as employers may consider them as biased sources. You have to check with every person on your reference list to see if their contact information is up to date and you have to make sure that they are available and willing to give information should the time comes that it is needed. 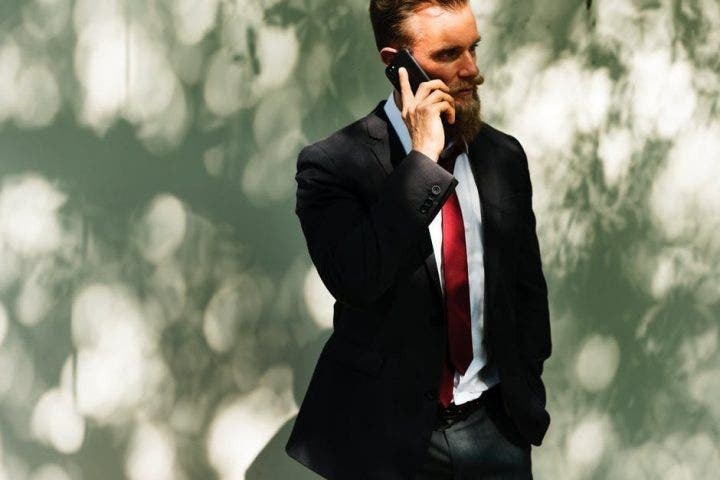 A lot of employers will only call your references if you are the final candidate for the position or if ever you are one of the two finalists. There will be instances when the employer will go through all of the people that he or she has interviewed, but a majority of employers are going to wait until they are close to handing someone an offer before calling that person’s references. You may also see Free HR Forms. There have been cases when employers would check a candidate’s references before they even conduct the first interview. While this is a very uncommon practice, some employers just feel the need to do this as it helps them immediately figure out the kind of person that they are going to interview. So if this is the way the employer does it, then you will have no choice but to comply with it if you really want the job. Just make sure that you tell your references ahead of time about the situation. What if you do not have any previous job or references? The first thing that you should do is find former bosses and colleagues. You can use LinkedIn search or a search engine to help you out. If you enter the person’s name and the company where the two of you used to work together, you may find them. Even if the company no longer exists, the references still have value. 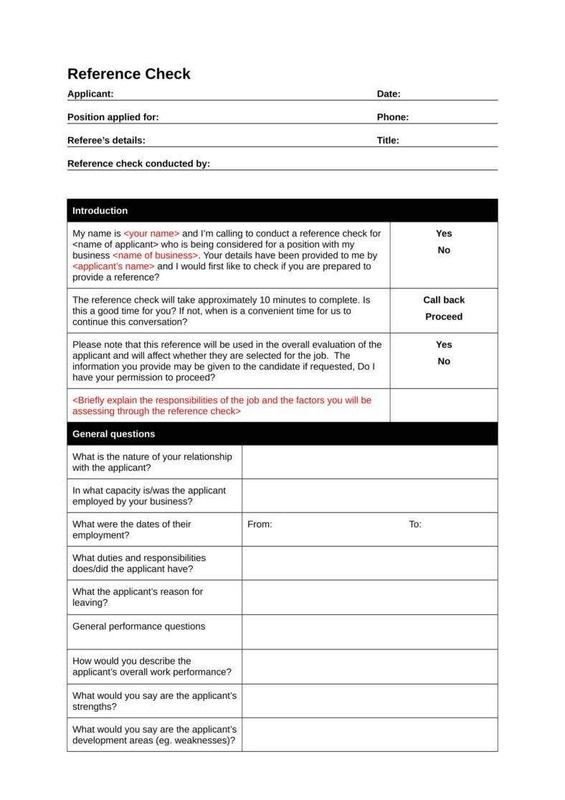 You may also see Exit Interview Form Templates. If you have tried your best but you were not able to hunt down old colleagues or bosses, you can ask former teachers or people you have volunteered to serve as your references. To know more reference checks, employee verification, and other work-related concerns, be sure to check out the other articles on this website.